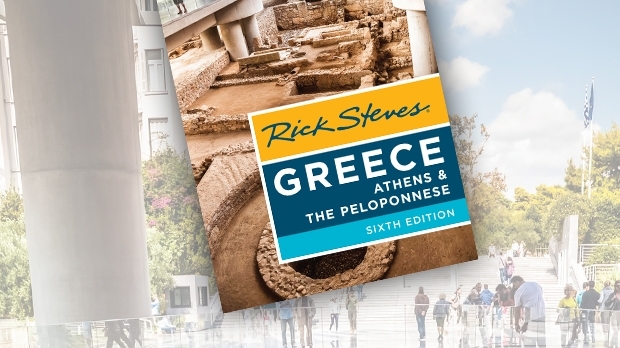 The words "Greek Isles" evoke visions of sun-bleached houses shoulder-to-shoulder against a hillside with a mesmerizing view of glittering blue water. 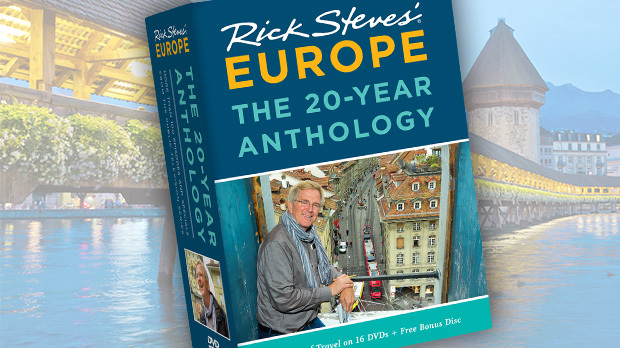 But with more than 200 Greek islands scattered across the Aegean and Ionian seas, where do you start? 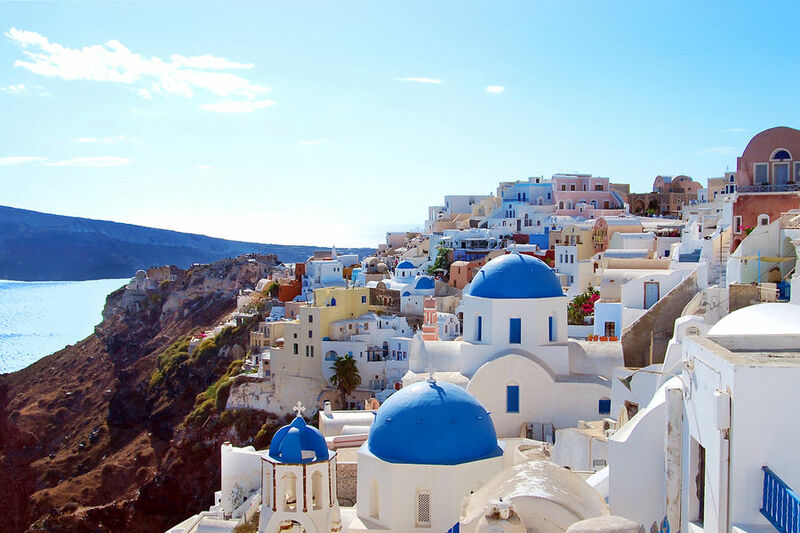 Chances are, Santorini is the island you're picturing. Once a complete island like its neighbors, it was a volcano that blew its top thousands of years ago, creating a giant caldera. Today Santorini's whitewashed villages crowd the dramatic ridges of this crater as if jostling to enjoy the views. And Santorini offers much more than the vistas made famous on postcards — its wonders include countryside wineries, ancient archaeological sites, and unforgettable beaches. The village of Oia is the quintessence of Greek Island charm. Pronounced "EE-ah," this idyllic ensemble of whitewashed houses and blue domes delicately drapes itself over a steep slope at the top of a cliff. Viewpoints here are some of the most iconic in the Greek seas, and photographers clamor for just the right angle. Artists fall in love with Oia and move in. Honeymooners find the B&B of their dreams and savor breakfast in unforgettable settings. At the quiet end of town, the old windmill evokes a more rustic age gone by. And the cliffside cocktail bars provide a romantic stage where tourists gather for each Santorini sunset. It seems, at least in most photographs, that Greek-island towns like Oia are completely white. The whitewash, while scenic today, was originally practical: White reflects the powerful heat of the sun. What's more, the lime that makes the whitewash is a good antiseptic — villagers knew it would naturally disinfect the rainwater that was collected on rooftops. And I love the way the blue and white of the townscape seem inspired by the colors of the Greek flag. Dwellings on Santorini were originally humble caves. With little building material on the island, it just made sense to dig into the cliffs. These "cave houses," surrounded by air-filled pumice, are naturally insulated — staying cool in summer and warm in winter. Gradually these cheapest bits of real estate were developed and, with tourism, they became expensive homes, hotels, and restaurants. Thousands of years before the idea of tourism — in the Bronze Age, a time that was ancient even to the Greeks we now call "ancient" — Santorini was already bustling. It was the era of the Minoans, the earliest documented civilization in the Aegean, and Santorini was the largest city outside their home base of Crete. But in around 1630 BC, the "Minoan Eruption" — one of the biggest in human history — blew out 24 cubic miles of volcanic material, at least four times the amount ejected by the 1883 explosion of Krakatoa in today's Indonesia. That's when the island took on the sunken crater shape that visitors see today. You can visit Santorini's version of Pompeii — an ancient city buried (and preserved) in ash following this massive eruption. The Bronze Age city, near the modern-day town of Akrotiri, is still being excavated, with more than 30 buildings now viewable in a well-designed structure. (Only 3 percent of the site has been unearthed.) Visitors explore the excavation site on ramps that let you climb around and through the streets of the prehistoric city. Careful observers can pick out sidewalks, underground sewage systems, and ceramic vases left behind. The most interesting items discovered here — wonderful wall frescoes, fancy furniture, painted ceramics — are on display mainly at the Museum of Prehistoric Thira in Santorini's main town, Fira. The island's volcanic soil, ample sunshine, and arid climate add up to a distinctive wine grape. As they have since ancient times, vintners here shape the live vines into protective baskets designed to enable the vines to both collect the dew and survive the wind. The fruit of the Santorini vine is both hearty and sweet, and there are a dozen or so wineries where casual visitors can sip and take in the views. 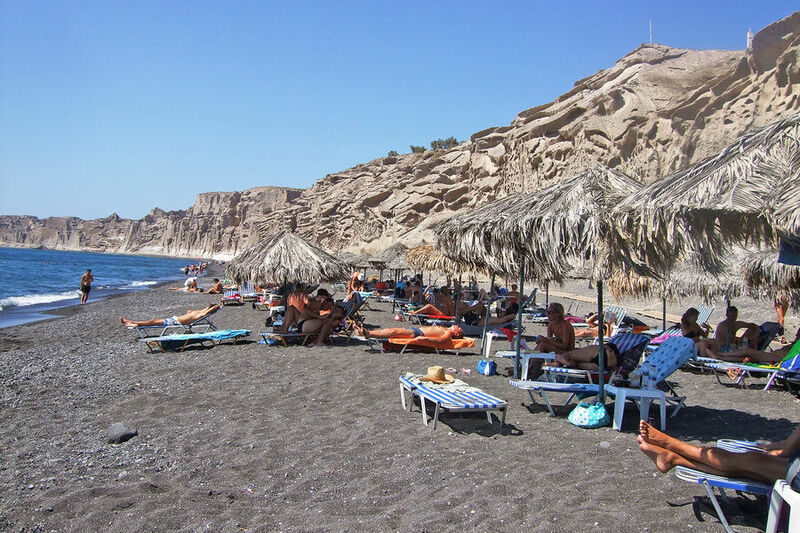 When it comes to enjoying the Santorini beaches, visitors have options made interesting by the unusual volcanic geology. Two black-sand beaches flank the steep mountain at the southeastern corner of the island. Along the island's southern arc are some volcanically colorful beaches near Akrotiri. White Beach, in front of a backdrop of chalky cliffs, is accessible exclusively by boat. Red Beach, given its distinctive color by iron deposits, can be reached by a demanding hike around the bluff. Of course, wherever you go on this island, you're surrounded by stunning vistas. Whether you explore the island's many wonders or mostly park yourself at a clifftop terrace to marvel at the caldera view, Santorini's quite likely to live up to your Greek vacation dreams.